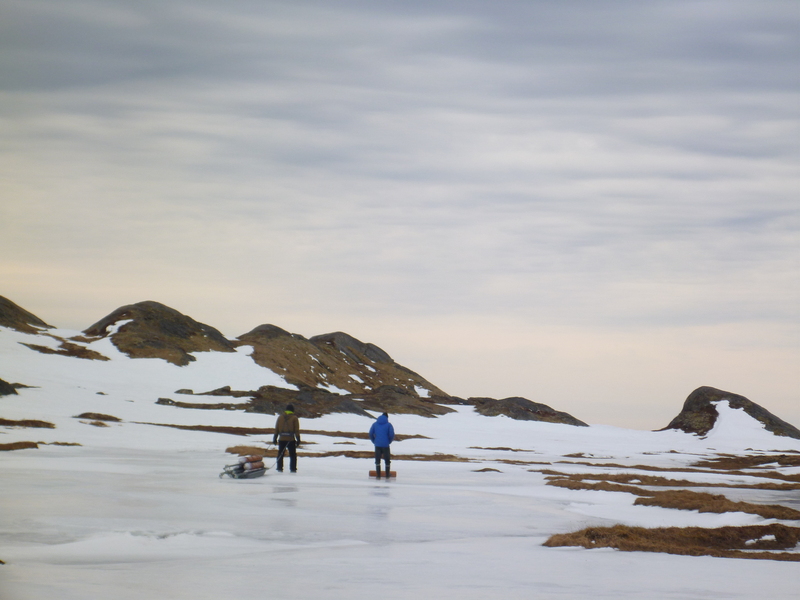 Last few days in Sisimiut and we’re clearing up a few loose ends. 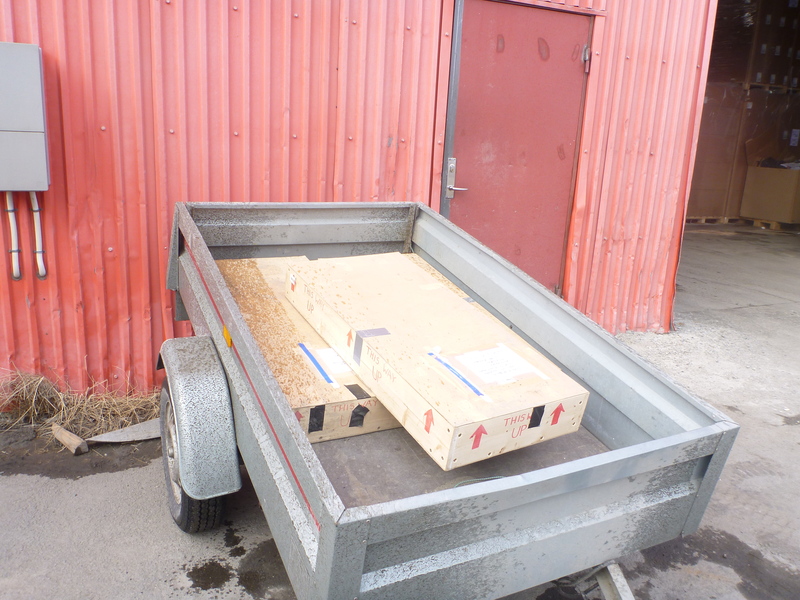 The cores were packed up and shipped to the UK. We also had a few things to clear up from our previous project. 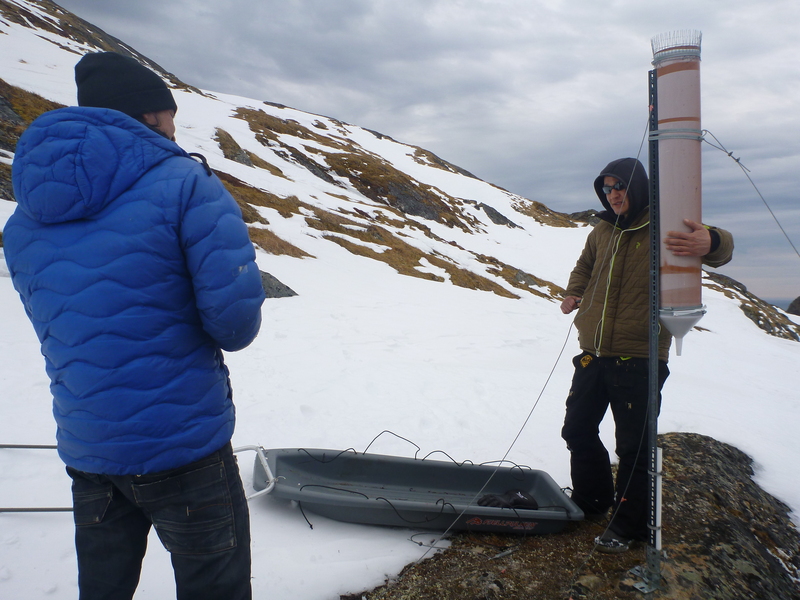 For the past few years we have been monitoring nitrogen deposition across the region as part of the NERC-funded project. This project is coming to an end, so we needed to collect in our resin samplers. 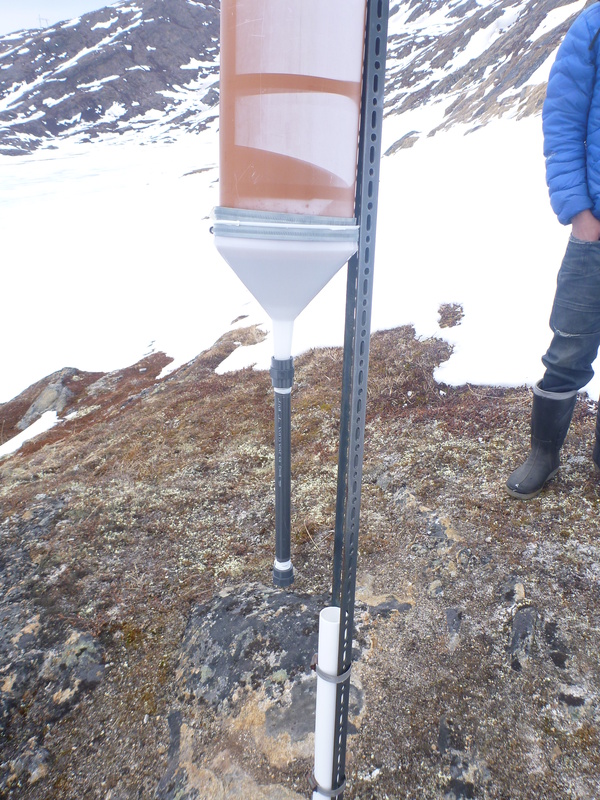 So, John & James headed back to Kangerlussuaq to collect the samplers in that area- here’s what the resin tubes look like. They are fairly large collectors to dismantle and there are five located around each lake. 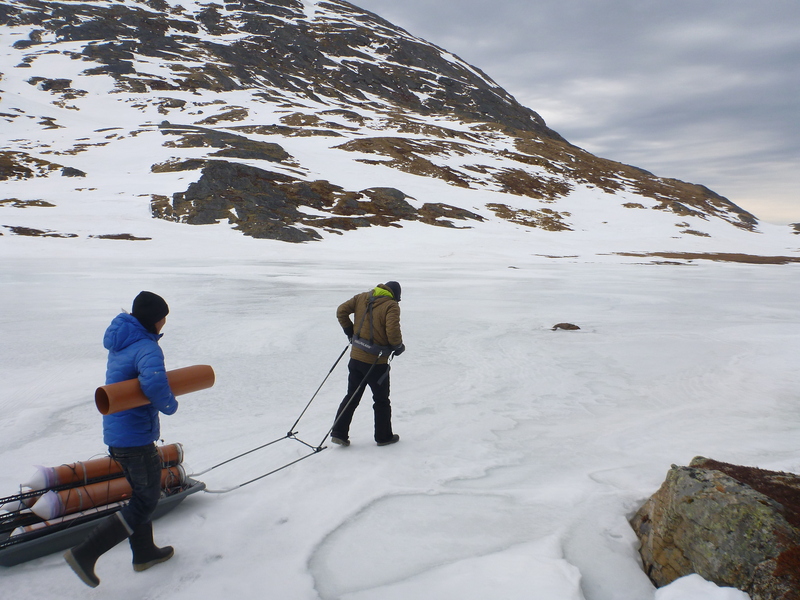 Suzanne took down the samplers at lake AT5, a site close to Sisimiut with the help of Avatannguaq, Søren and a sledge.